How To Integrate Right Mindset Into Right Action! A friend of mine was just talking about the fact that most mindset stuff doesn’t get into the nuts and bolts of how to actually make things happen – whether that’s making money online or making a baby. At the same time, the people putting out quality “how to” material usually skip over or misunderstand the mindset stuff. Today’s video is about the core nuts and bolts of building a life that expresses your best “mindset” and incorporates that into every project and relationship in your life be it directing a commercial, building your business, or growing your family. This video has nothing to do with confidence, motivation or drive. I’m assuming you know that stuff is important. Not being mediocre is crucial for success in any endeavor. But if you want a leg up in creating powerful projects that deepen and extend your personal power and make you a force to be reckoned with then check out this video. For those of you who want to know more about how to tap into your Singularity, check out this post about being at your best or sign up for the 6 Part Course on the right hand side of the blog. Once you’ve tapped into your Singularity the next step is identifying all the things that are important to you. A massive What I Want list is a good beginning. From there, create a hierarchy of what’s most important and make all of your decisions based on that hierarchy. Then choose a specific project that you will help you get what you want. Once you’ve done that, do it again with the next project. Make sure to have some simple projects because they’ll help you put quick wins up on the board get the feedback you want. 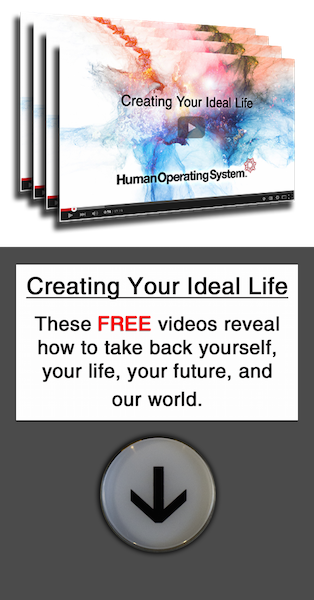 For more of the specifics on this topic sign up for the Human Operating System Dashboard, go to the “Cutting Edge” section and watch the video on the Criteria Metaprogram.